Golf for the whole family! Kids and golf? You bet. Take the family on a golf vacation. Introduce the kids to the game. Hit a few balls, take in a clinic or two, then explore your destination for more family fun. 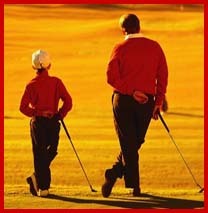 Kidzngolf will highlight golf destinations and golf gear. Stay tuned. More coming at you soon!